As you may have guessed I am not happy with any gift I give unless it has been at least partially woven. And while my adult kids regularly receive woven animals whether they want them or not, I decided that the best way to use pin loom weaving would be with a unique gift card holder. 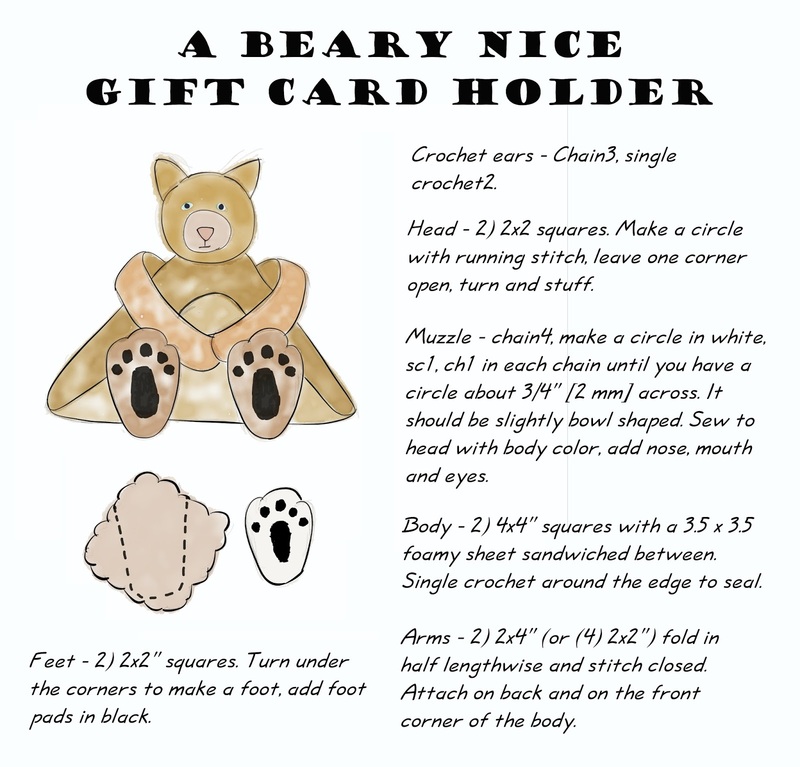 My original plan was to make a cat with long arms holding the gift card, but the face ended up much more bear like so I added the bear feet as an extra touch. 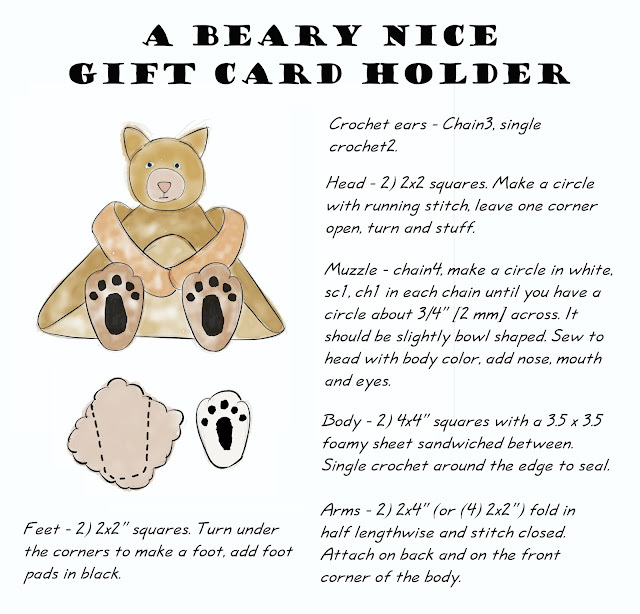 You will find directions to make the beary nice gift card holder below. I used an acrylic yarn, Impeccable "Earth" color. However, the colors turned out rather dark and I think that it might look better in a lighter, solid color, like tan or ecru. It would be easy to change the features and crochet different ears to turn this bear into a dog or cat or rabbit. I'm afraid my instructions below on the head aren't very clear. The head is made by stacking the 2 - 2x2" squares together, stitching them together by using a running stitch in a circle around the edge of the squares and then turning them inside out and stuffing. Attach the open end to the top of the body.